What a fantastic day. Sunday, perhaps my favorite day if I had to pick one. We love to get most of our chores done the rest of the week so we can spend Sunday embracing the things that are important to us. It is a day centered around faith, family, friends and food. What a wonderful way to spend a day. Lazy and relaxing, enjoying a fantastic meal together. It makes me think of old television shows and movies. So, I think it is fitting to Christen today "Family Time". Today I bring you a perfect family dish. 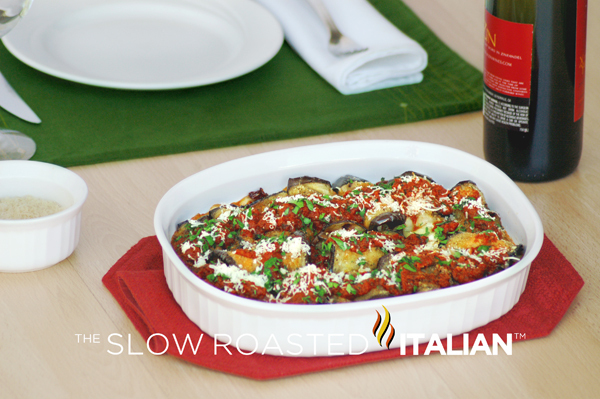 This eggplant rollatini is destined to sit atop a beautifully set table and passed around in the midst of fabulous conversation, perfect for "Family Time" celebration. 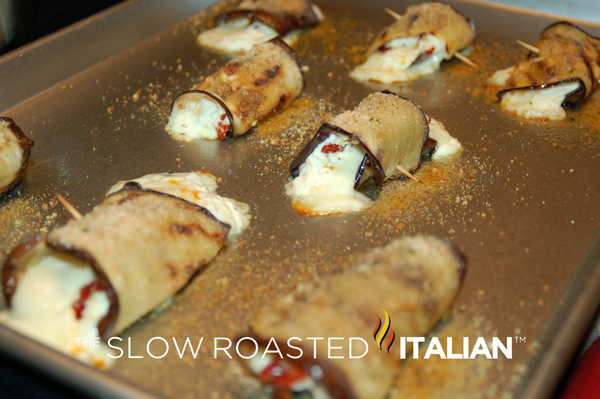 Enjoy the flavors with melted mozzarella, baked ricotta, sun-dried tomatoes giving a deep tomato flavor. 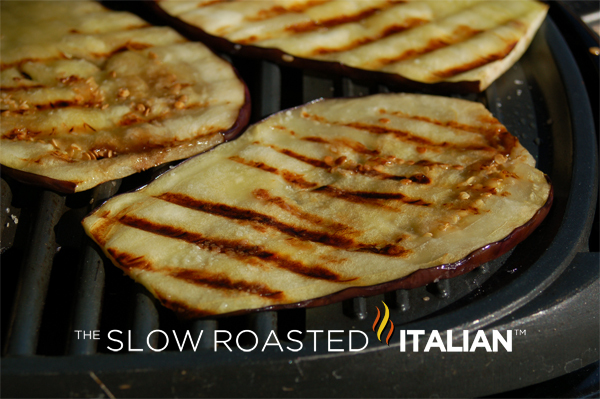 Serve it on top of angel hair pasta for a fabulous meal. 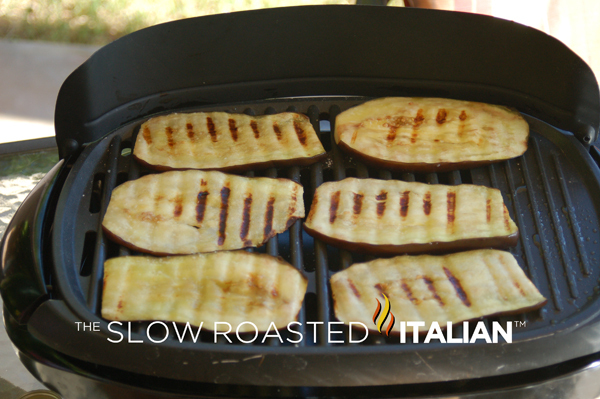 Drizzle eggplant with EVOO and sprinkle with salt. 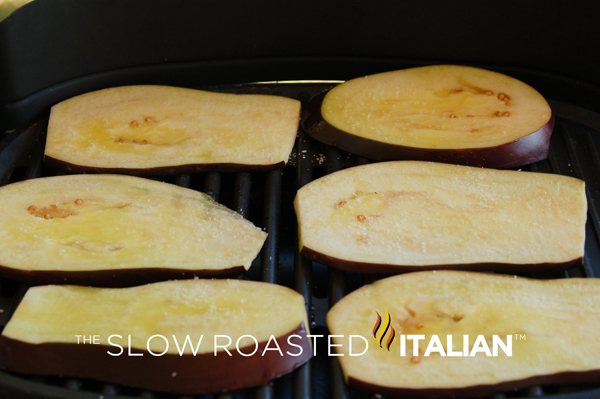 Place face down on grill, drizzle other side of eggplant with EVOO and sprinkle with salt. Grill each side until done. Remove to a cooling rack. Preheat oven to 400°. In a small bowl combine ricotta, salt and pepper. Mix until well combined. 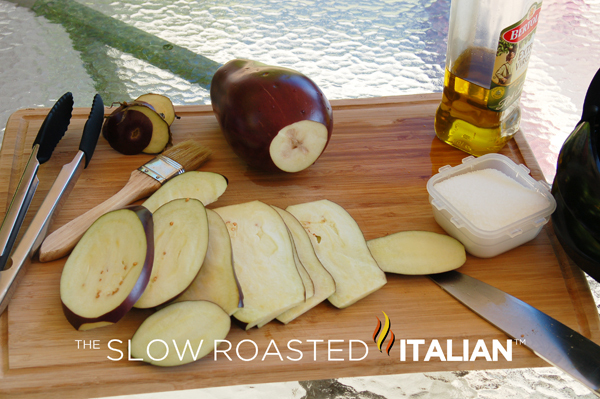 Lay cooled eggplant on a baking sheet. 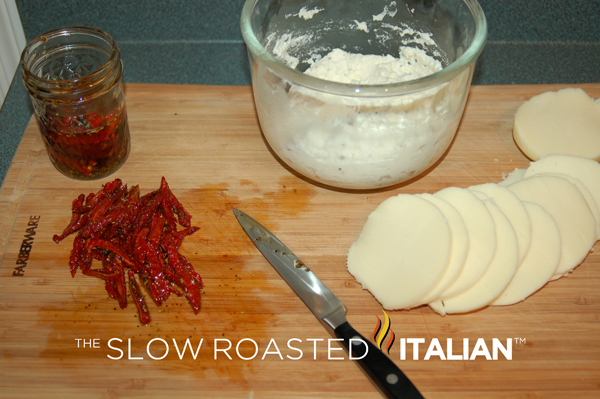 Lay a piece of mozzarella, one entire sun-dried tomato thin sliced and one tablespoon of ricotta mixture. 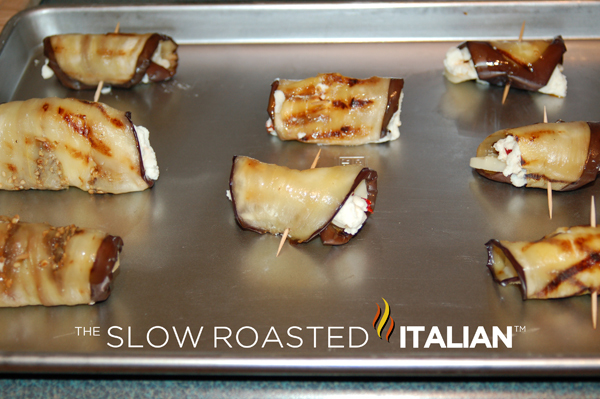 Roll eggplant and close with a toothpick. 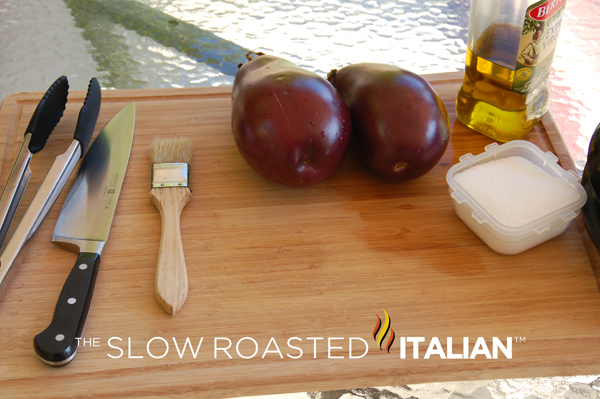 Sprinkle each eggplant rollatini with 1/2 teaspoon of bread crumbs. 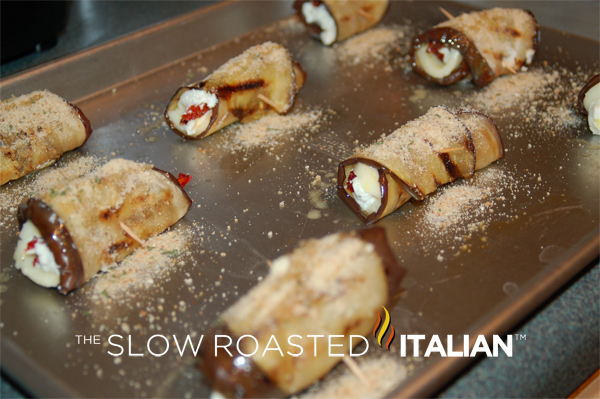 Place in oven for 10-15 minutes, until lightly browned. 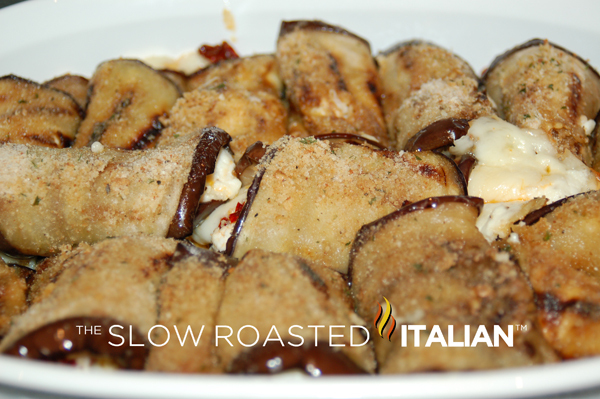 Remove from baking sheet and place in serving dish, cover in tomato sauce, parmesan cheese and serve. 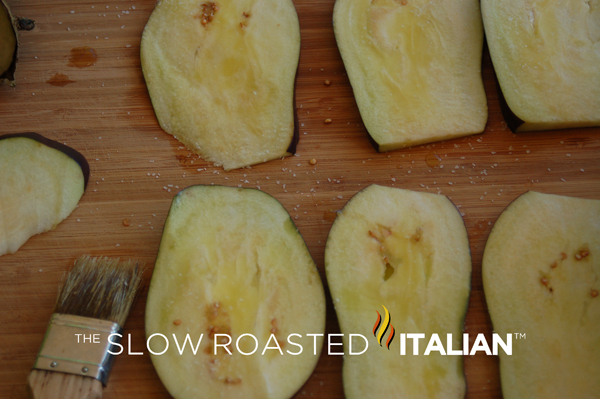 I tried this once and wasn't as successful as you -- my eggplant was bitter, despite salting. I'll try again because these look so darn delicious! Mhh those rolls for themselves would make great appetizers already. Divine! Soooooo delicious! I actually have 3 eggplants in my house, right now!!! Must make for dinner!